Loss of hair is called alopecia from latin. Patients have a different perception of balding from that of the dermatologist; they often are aware and very concerned about subtle thinning of the hair. Disorders characterized by loss of hair are conveniently classified into noncicatricial alopecia, where, at least clinically, there is no sign of tissue inflammation, scarring, or atrophy of skin, and cicatricial alopecia, where evidence of tissue destruction such as inflammation, atrophy, and scarring is apparent. In nonscarring alopecia, the hair loss can be caused from an autoimmune disease or hormonal (androgenetic alopecia). 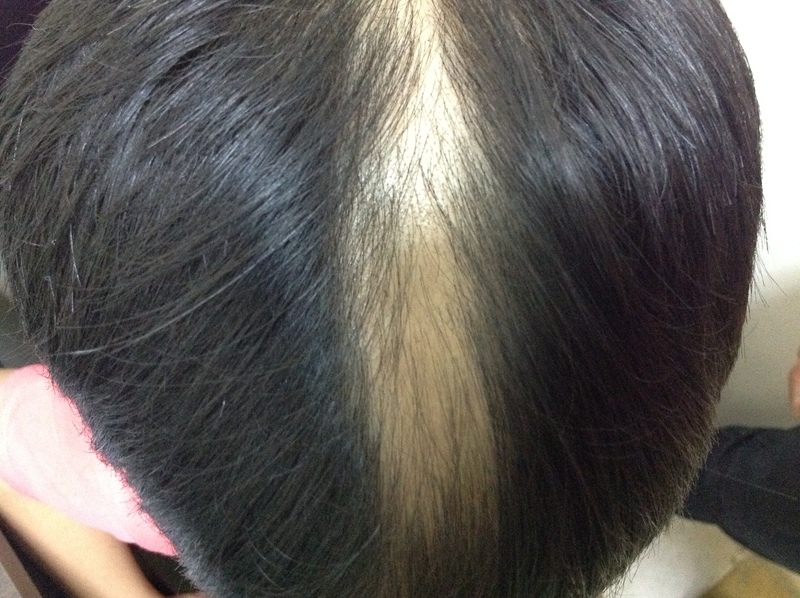 In this case, Topical glucocorticoid, minoxidil spay, systemic cyclosporine or glucocorticoid, oral finasteride can be recommended by your physician depend on your severity. Scarring alopecias result from damage or destruction of the hair follicles by inflammatory or other pathologic processes, and healing occuers with scarring and atrophy and completed loss of hair follicles.